AT 95 COMMENTS, AND HAVE TO ENTER THEM INTO RANDOM ORG, AND DON'T WANT TO BE OVERWHELMED!!! WITH ALL THE EXTRA ENTRIES, THERES ALREADY A LOT! LUCKILY, I STARTED ENTERING THEM AT THE BEGINNING OF THE WEEK WITH EXCEL SO I'M HALFWAY DONE ALREADY! HOPEFULLY MORE PEOPLE ENTER MY NEW CONTEST SINCE I'LL HAVE MORE TIME TO GET IT TALLYED UP NEXT WEEK!!! I am skipping in my mailbox this week! I'm just too tired. Its only two weeks into school and I'm already tired. College is starting to get to me. Thankfully I am almost finished. Today is also my twin sister's Carrie and Carlas birthdays!! Happy Birthday Girl's!!! So instead of doing in my mailbox, I am hosting a contest instead. The winner will have their choice between one of these 6 ARCS!!!! All of these look great, please enter me! Happy birthday to your sisters! Oooh these books look good! +1 I already follow your blog. I would love to get my hands on any of these!!! 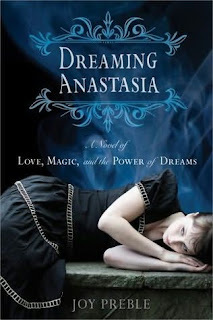 I would like to win Dreaming Anastasia. thx for creating this new contest!! All of the books look awesome! I'd love to win one. Ooh, I'd love to participate!! There are two books in this contest that I'm really interested in! Once again, thanks for making amazing posts! +1 Great giveaway. Please count me in. Yeah!!!! Way to raid my wish list for awesome books. I would love to enter. Thanx for the great contest. Ooh, if I win I would have a hard time deciding... but that's a decision I wouldn't mind having! Thanks for the chance at these! I'll come back to link my IMM and WoW once I post them! Great selection to choose from! Please enter me. I love books. 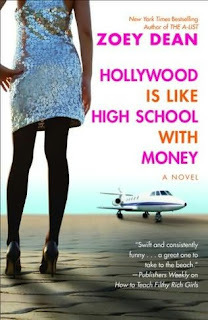 I love winning books. + I'm already following you. Looks interesting. I'd love to win one. GREAT books to choose from! Please enter me. There are so many books there that I want to read it will take a lot to decide if I win! Thanks, and best of luck all! Oh, wow, I really want DREAMING ANASTACIA! Please count me in! They would all be great choices to win! Great contest idea! Please enter me. +5 Link to my IMM post. +2 Promoted on my sidebar. +1 Great selection of books. I'd love to win any of these books. Great set of books. Please include me. Count me in please for your giveaway. Thanks. I'd love to enter the contest please! I'd love to be included but I live in England- can I still enter? If so I would love to, thanks! these books look great! please count me in! Enter me! I'm already a follower. What a great group os ARCs - ack! how will I choose if I win?!! Wonderful contest. Great set of books. I am already a follower. +2 And I blogged about the contest here. 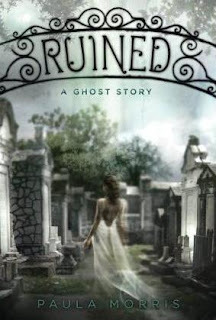 I would love to read Ruined! wow so many choices. i love them all.lol. cool contest. +1 Wow thank you for this contest. +5 I linked my WoW post. Hey Cindy! I see your having yet another great contest, and since I'm itching to read a bunch of these books..I'm entering!